Magneto click carries an AS5048A contactless magnetic angle position sensor. 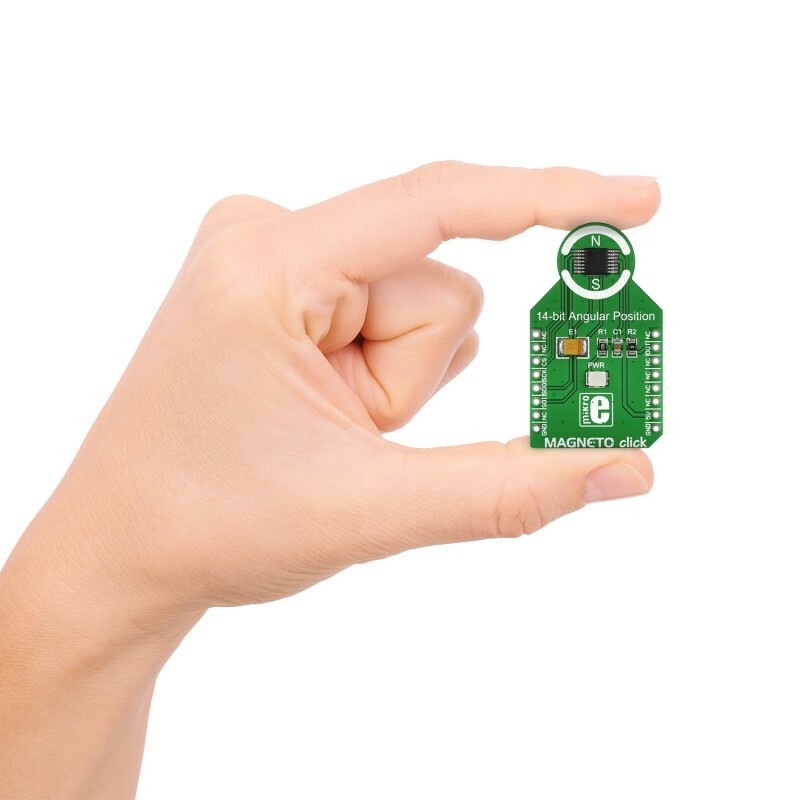 The sensing circuitry relies on the Hall Effect to detect the vector of a nearby magnetic field in a 360º two-dimensional plane parallel to the surface of the chip. 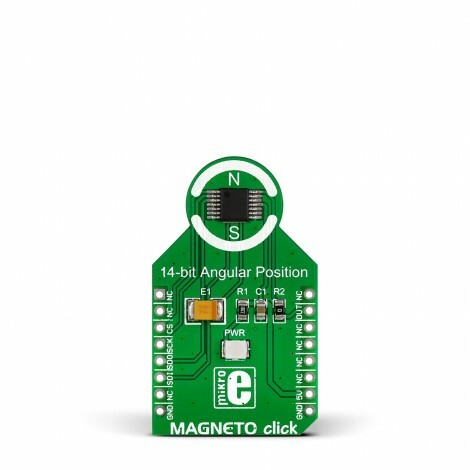 Magneto click carries an AS5048A contactless magnetic angle position sensor. The sensing circuitry relies on the Hall Effect to detect the vector of a nearby magnetic field in a 360º two-dimensional plane parallel to the surface of the chip. 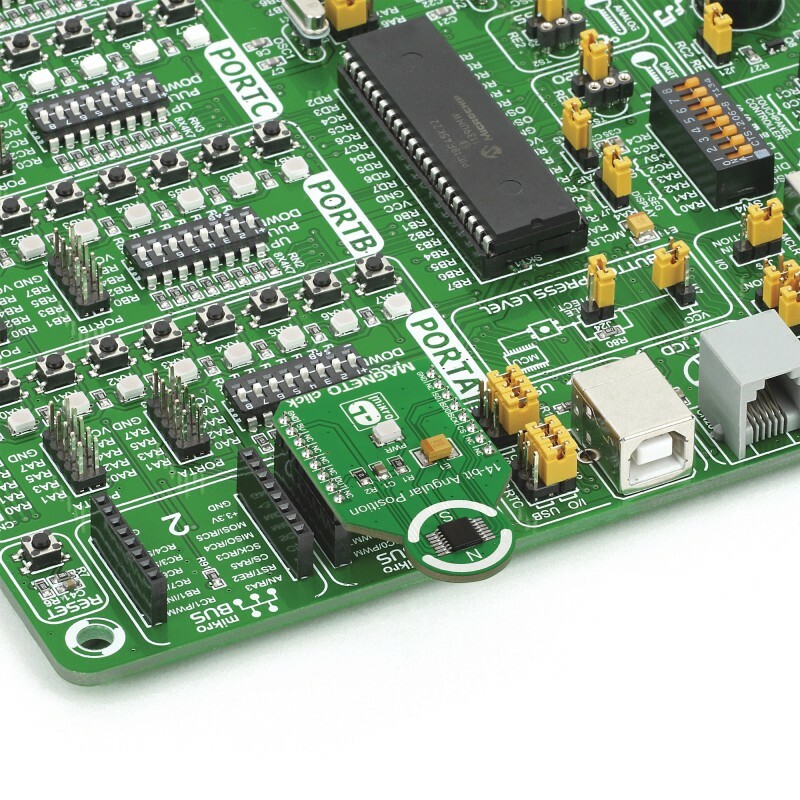 AS5048A delivers precise angle measurements down to 0.05º in 14-bit resolution. Its accuracy is not impeded (up to a point) by misalignment, air gap variations, temperature variations, even stray magnetic fields. The PWM outputs the absolute position information. Additionally, the magnet’s zero position is programmable (via SPI). 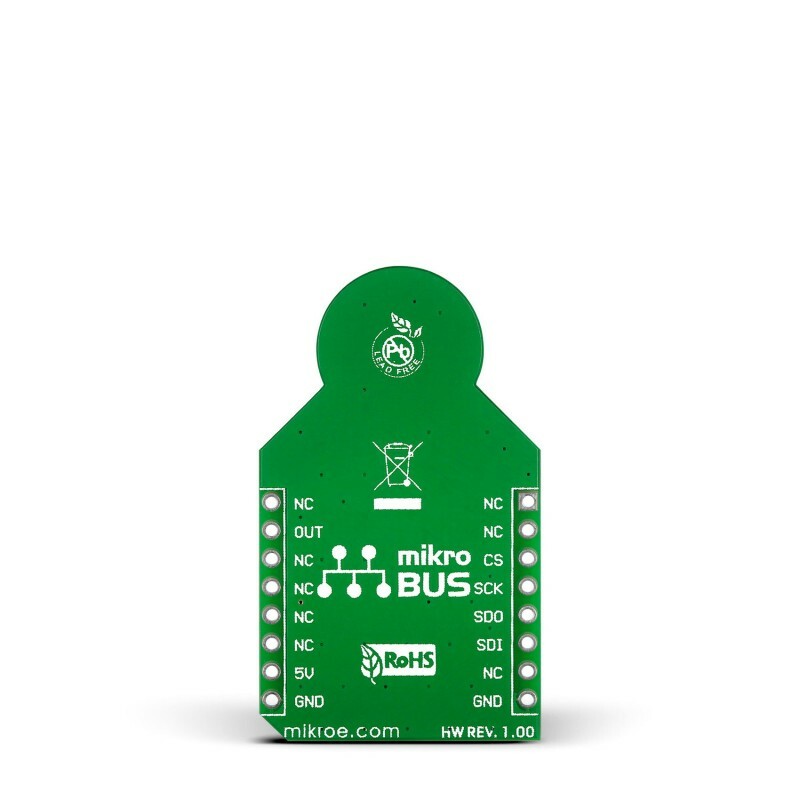 Magneto click communicates with the target MCU through the mikroBUS SPI interface (CS, CLK, MISO, MOSI). Designed to use either a 5V power supply.